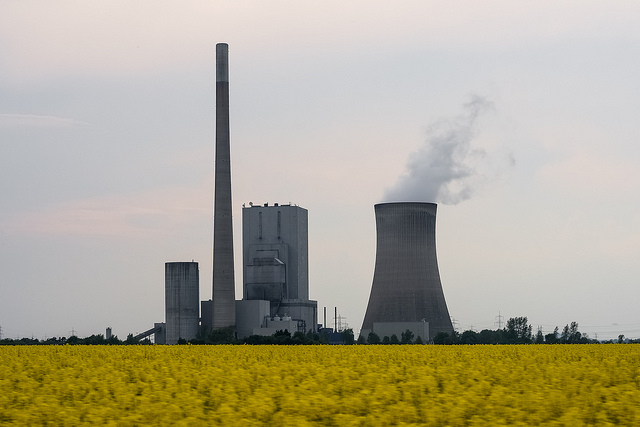 The German government will announce on Thursday (2 July) a decision to order the shutdown of several coal-fired plants in order to reach its ambitious climate goals by 2020, according to government sources. Energy minister Sigmar Gabriel is expected to explain the results of the coalition negotiations which lasted more than four hours at a news conference on Thursday morning. “The affected power plants will not be allowed to sell electricity on the normal energy market,” they said, adding that with this step Germany would manage to reach its goal to curb CO2 emissions by 40% by 2020 compared with 1990 levels. While the levy now seems to be scrapped, it remained unclear whether companies such as RWE or Vattenfall Europe would get compensation payments or not. The European Union was the first bloc to agree its position before UN talks take place in Paris later this year to seek a new worldwide deal on global warming. EU leaders committed in October last year to reduce greenhouse gas emissions by at least 40% by 2030, and increase energy efficiency and renewables by at least 27%. A special "flexibility clause" was added to the final text, making it possible for the European Council to return to the targets after the UN summit in December 2015.